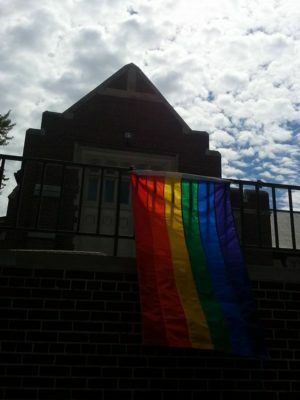 On Wednesday, June 15, in the aftermath of the shooting at Pulse in Orlando, Metropolitan Community Church of Omaha held a Service of Grief & Mourning. Rev. Scott Jones was unable to be present, but wrote the following Lament to be read at the service. I am goddamned tired of vigils. I’ve been to too many. Organized too many. Participated in too many. You know what, God, the first one was too many. Make it stop. Stop the terrorists from killing us please. Stop the gun lobby from destroying our country please. Stop the bigots from saying the words that make people hate us please. Just please make it stop. I want to kiss my husband free of shame and guilt and fear. I want to raise our son free of danger. I want to go to church free of the possibility of being gunned down or blown up. I want to go dancing and drinking and partying so I can be free, not afraid. I want to love other people. Be joyful with other people. Hope with other people. So, please make it stop. Just make it stop. That’s my prayer.